Queen duvet cover (88" x 88") featuring the image "Because It's There" by Hanne Lore Koehler. Our soft microfiber duvet covers are hand sewn and include a hidden zipper for easy washing and assembly. Your selected image is printed on the top surface with a soft white surface underneath. All duvet covers are machine washable with cold water and a mild detergent. 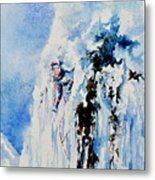 Thank you for your thoughtful appreciation and support of my paintings, Nancy! Thank you, Jenn, for the honor of featuring my painting in FIGURATIVE ABSTRACTION group! I appreciate your kind support and promotion! Thank you so much, Ann, for your thoughtful comment and support! Thank you, Jannice, for the honor of featuring my painting in ARCHITECTURE AUTOMOTIVE SPORTS group! I appreciate your kind support and promotion! 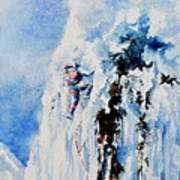 Thank you, Pamela, for including my painting in the features of ABC - Mountain group! I am honored! Thank you for your thoughtful comment and support, Dabra! 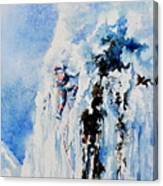 Thank you for your thoughtful comment and wonderful support and promotion of my painting, Donna! Hanne, Congratulations on your recent sale ! Thank you for your generous comment, support and promotion, Catherine! Congratulations on your selling, Hanne! Such realistic and beautiful artwork! Thank you for your thoughtful comment, Angelina! Thank you for your thoughtful comment, Lynn! Congratulations on your sale..Fine work! My goodness, so beautifully done dear Hanne...F/L. Thank you for your thoughtful comment and support, Clotilde! 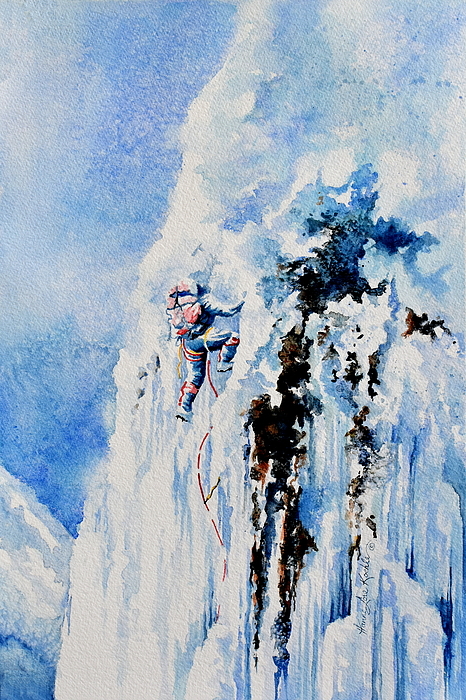 Great composition with ice climber and ice crag, Hanne! You have truly created the sense of the cold and blowing snow with your painting technique - brrr - L/F! Thank you for your sweet comment with sound effects and your kind support, Michele! Because it's there to overcome and conquer! Once again, love going through your work, just splendid work Hanne, voted! Thank you for your thoughtful appreciation and support of my painting, Kamil! Thank you for your sweet comment and feature in HEROES AND HEROINES group, jrr! Thank you for your kind support and feature, Colette!